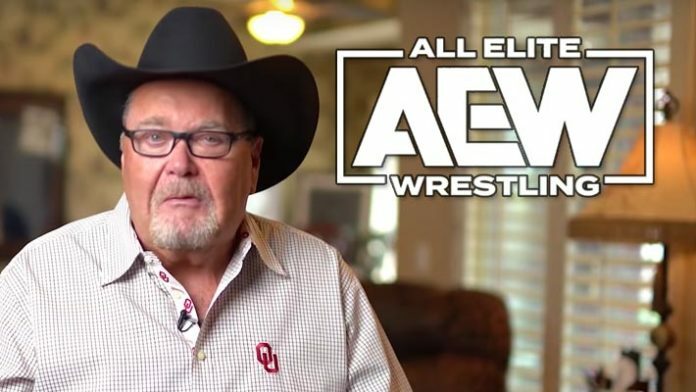 WWE Hall of Famer Jim Ross has officially signed with All Elite Wrestling (AEW). Jim Ross’ first in-ring appearance for AEW will take place at Double or Nothing, which takes place Saturday, May 25th from Las Vegas, NV at the MGM Grand Garden Arena. According to a press release sent in by AEW, Ross will also work closely with senior leaders at AEW on their roadmap to shift and reinvent the wrestling landscape. As seen below, Jim Ross is featured on the latest episode of AEW’s Road to Double Or Nothing YouTube series.